Looking for a new yoga and fitness spot? A new business is here to help. Located at 119 W. 23rd St., Level 2, Suite 200 (between 6th and 7th avenues) in Chelsea, the fresh arrival is called Humming Puppy. 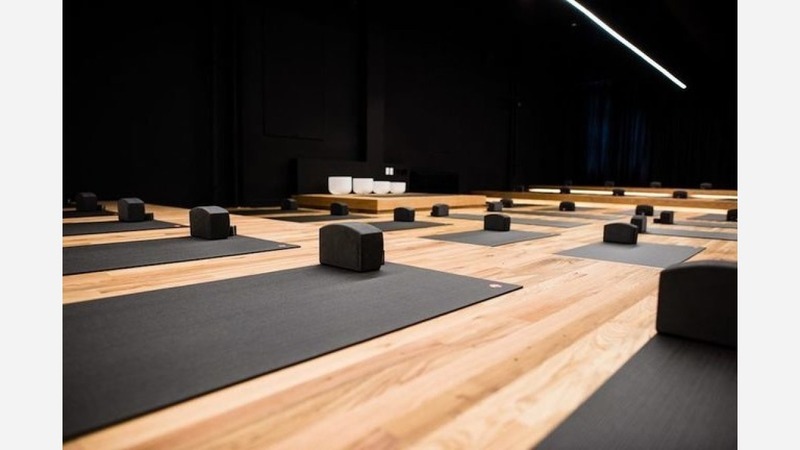 "We feel that this neighborhood, specifically this fitness-evolving area of West 23rd Street, makes 119 West 23rd Street the perfect location for us to begin sharing our yoga practice with the U.S.," co-founder Jackie Alexander told the Commercial Observer. Humming Puppy has gotten an enthusiastic response thus far, with a five-star rating out of five reviews on Yelp. Jessica D., who was among the first Yelpers to review the new spot on April 12, said, "You'll enter the locker rooms, which are really lovely and clean as well, but it can be a little crowded. They even have showers and hair tools." Yelper Ingrid H. added, "The yoga studio/space itself was nicely laid out with mats, props, and straps before you enter. Book your exact position/mat online to make the process even easier." Head on over to check it out: Humming Puppy is open from 6 a.m.-8:30 p.m. on weekdays, 7 a.m.-5 p.m. on Saturday, and 8 a.m.-7 p.m. on Sunday.